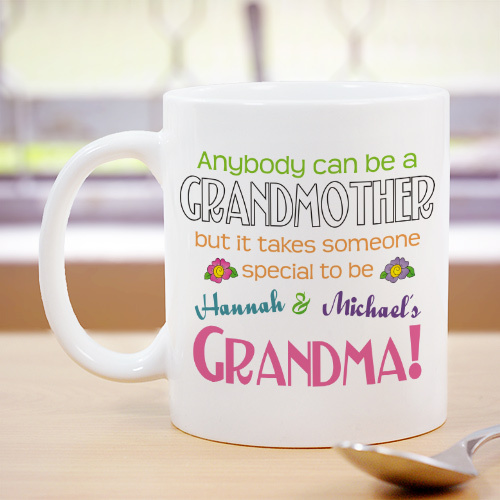 If you call her Grandma she must be special, show her how much with our Personalized "Anybody Can Be" Gift Coffee Mug. Makes a great personalized Grandmother's Day gift. Personalized with up to 30 Names.